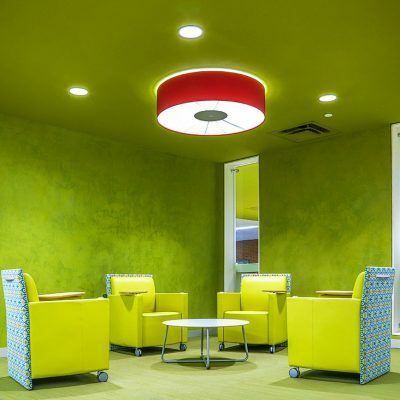 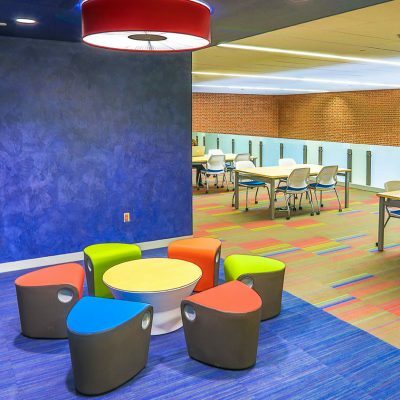 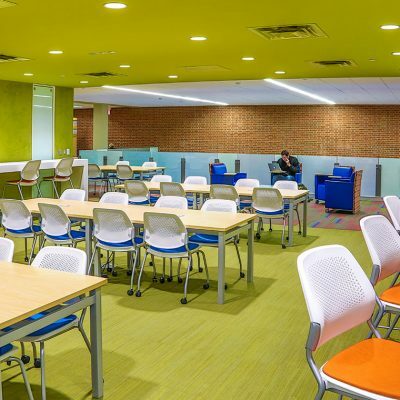 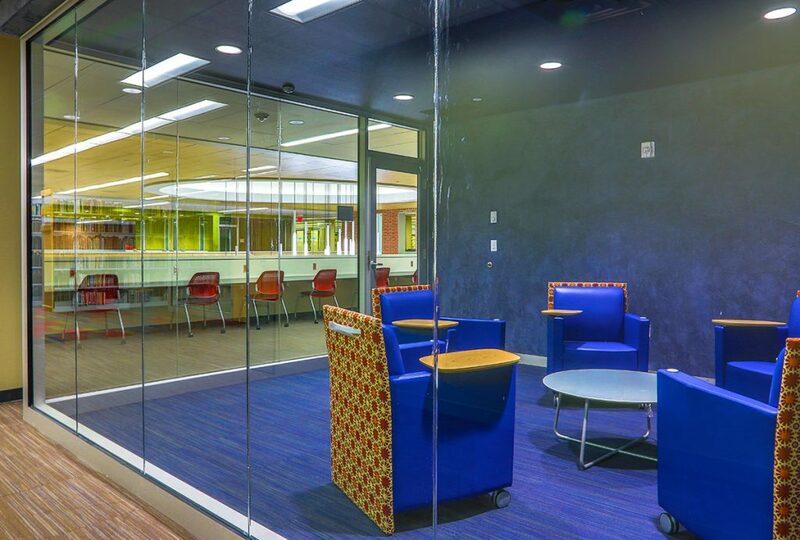 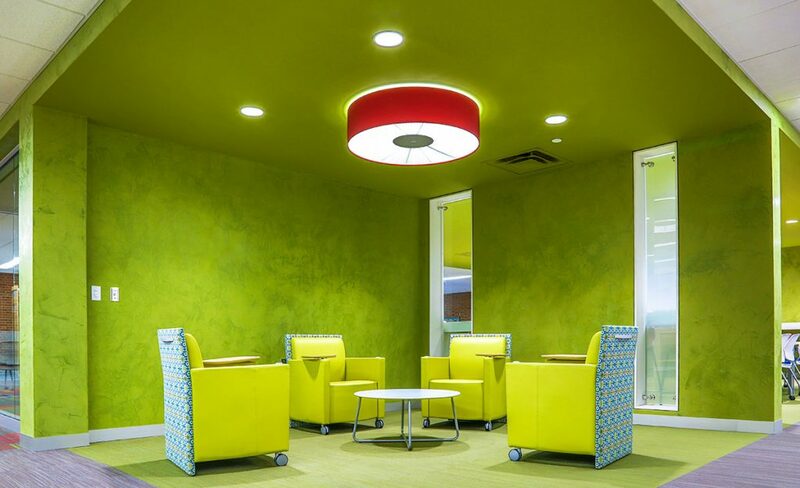 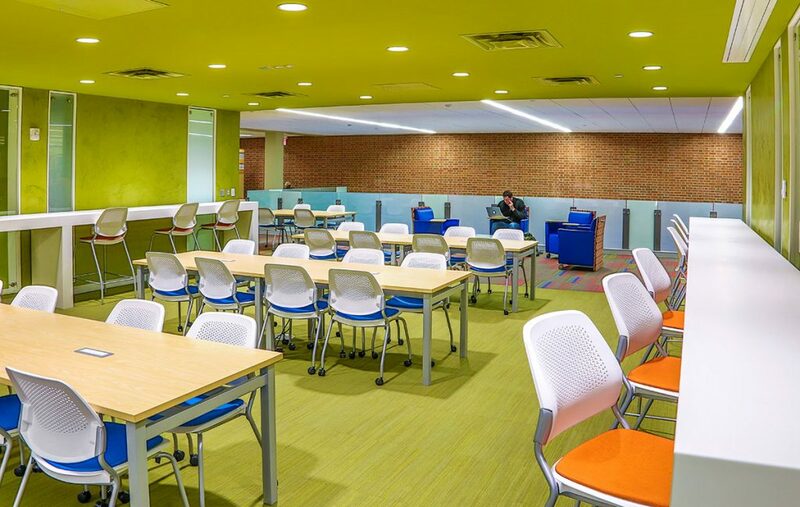 BKV Group was selected to program, design, and renovate the campus library building into a 21st century learning center. 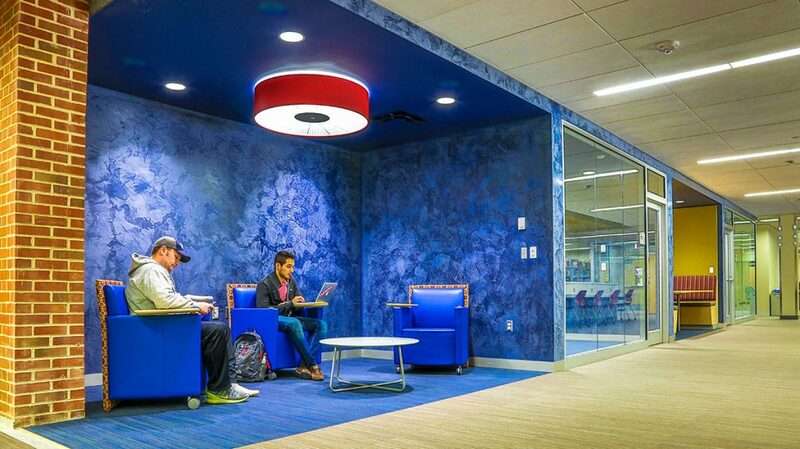 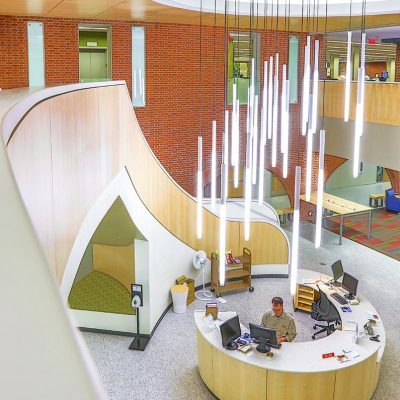 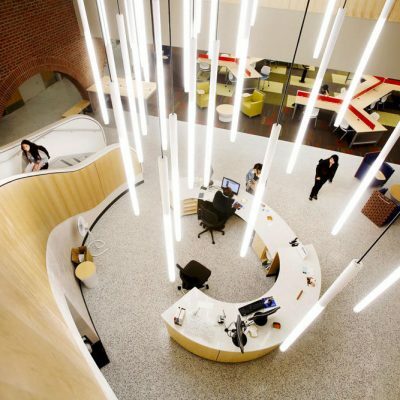 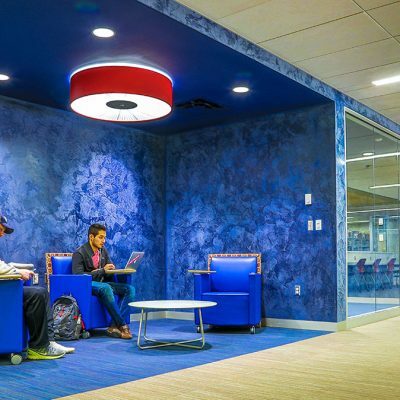 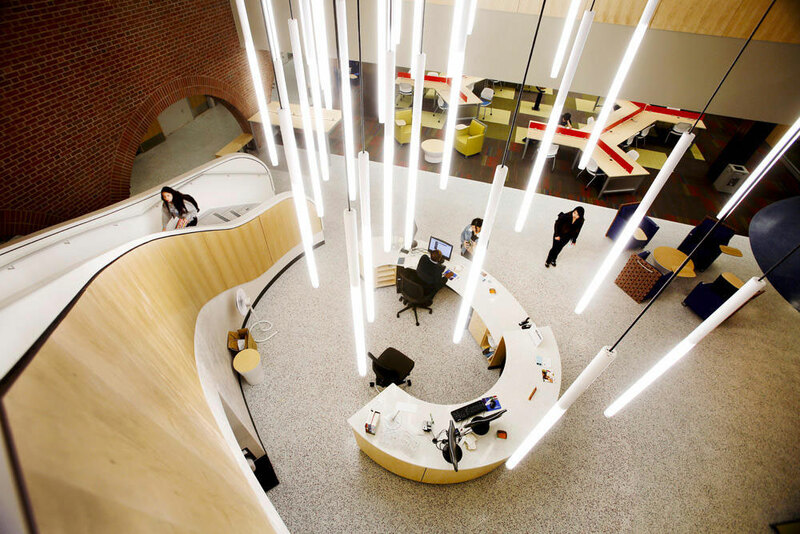 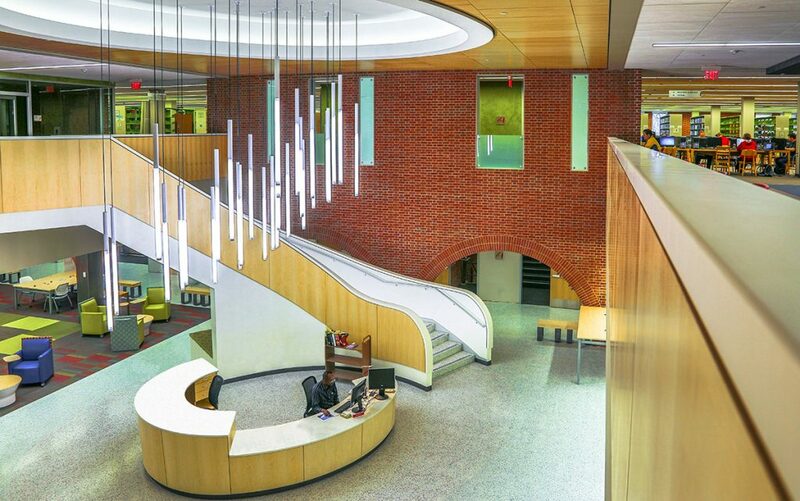 The programming and planning effort considered the critical changes in contemporary collegiate library buildings by defining and re-creating spaces that address the growing demand of electronics and mass media. 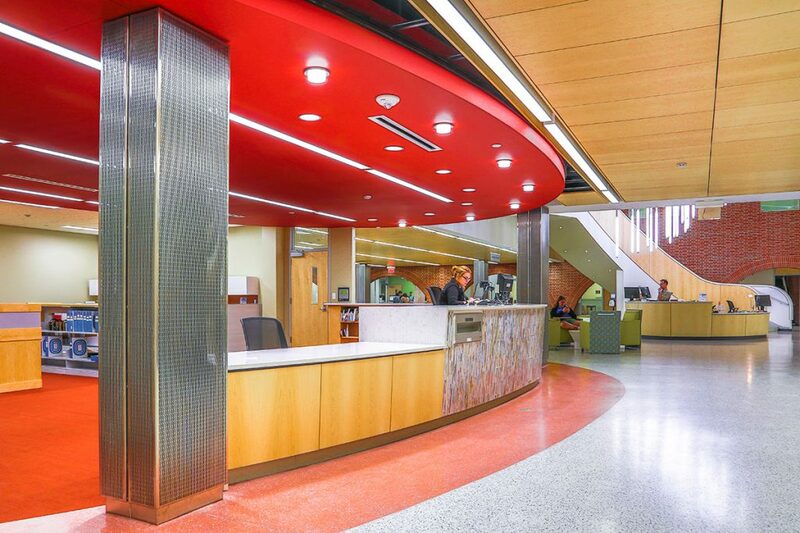 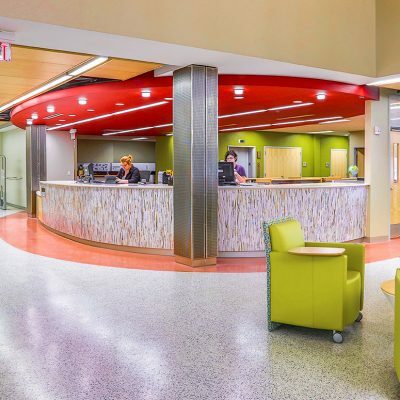 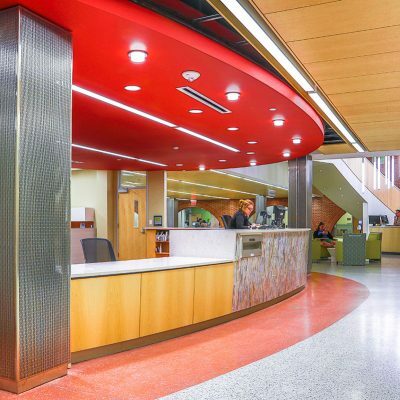 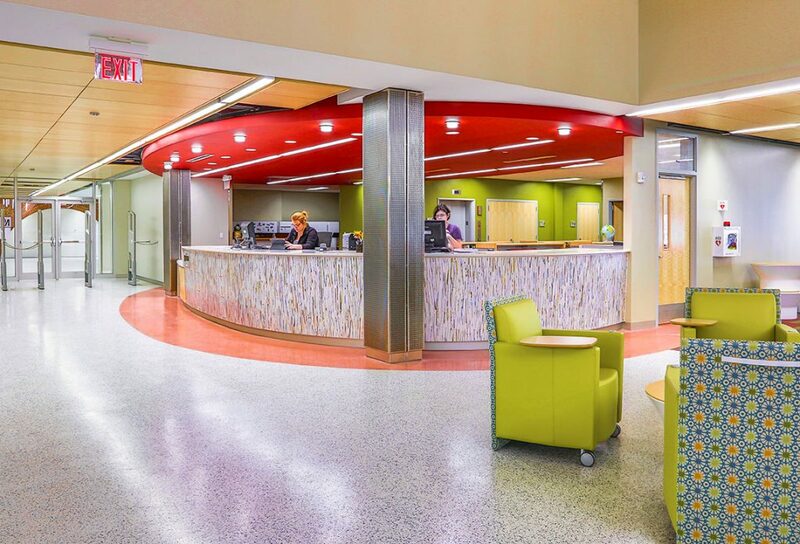 The renovation addressed building wide functional and accessibility issues with the addition of an elevator, ADA compliant restroom remodel, mechanical upgrades, classroom renovation, and deferred maintenance of the exterior glazing system. 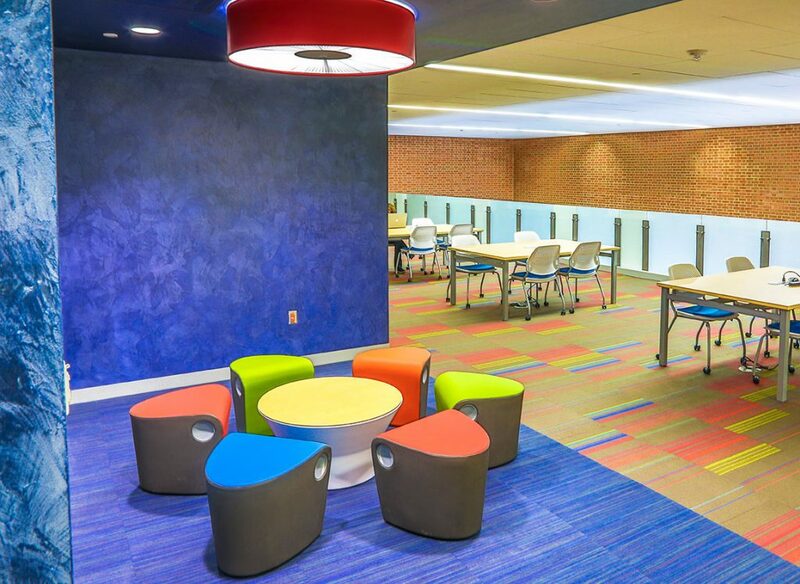 Due to the need to minimize disruption to academic schedule, this project was implemented in two phases. 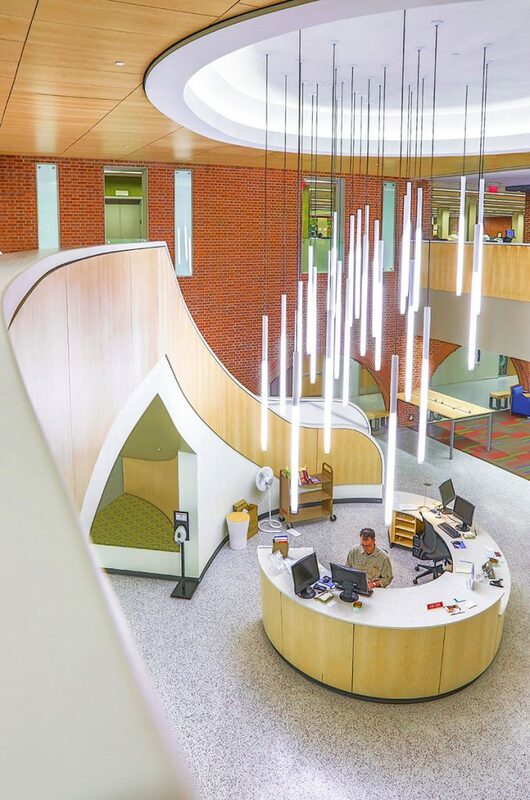 The first phase included new stack and archive areas, new faculty development suite, new information technology help desk and technical services areas. 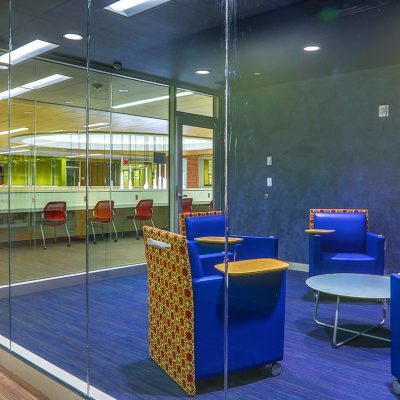 The second phase included a new centrally located technology commons, new reception and information service areas, new 24/7-access media labs, individual and group study areas, and a 24-hour student lounge. 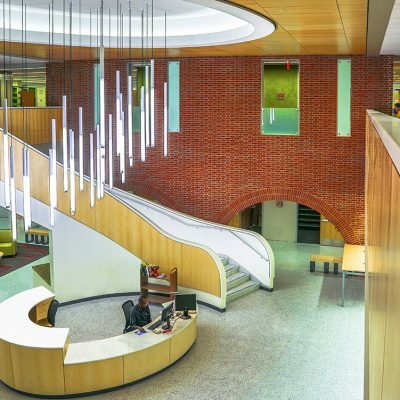 Full mechanical, electrical, technology and fire suppression updates were also included in this effort. 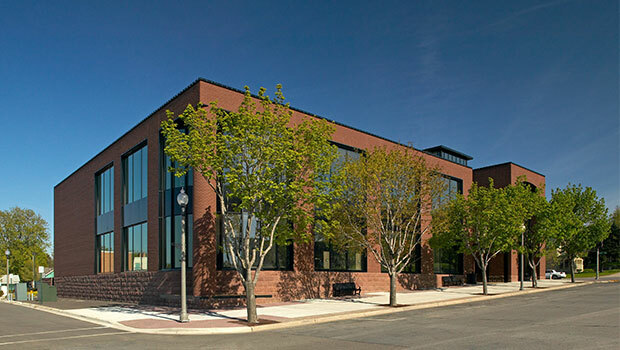 State energy and sustainability B3 (Benchmarks, Buildings and Beyond) guidelines were followed for the duration of the project.